I have to thank God for allowing me to live throughout the last 50 YEARS and witnessing developments in technology. It's funny to me to hear the young people today ask me "How could you have lived without computers, or without internet?" I laugh and think, "If only you people knew. . .. . ."
I was born during the time when television was black and white, and it wasn't in every house, and finding a place to watch it was not easy. To watch TV you had to go to the only house in the neighborhood that had one, and that was blocks away. Sometimes we even had to pay the home owner (in cents) to be allowed to watch it. 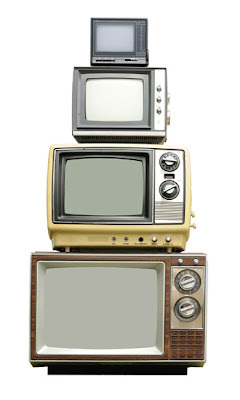 When you could be aware of local programming, local news, and if you were out in the country being able to watch less than 5 tv channels sometimes, with only rerun shows, and with a limited time to watch them you was always missing a lot. The soccer world cup was taking place in Chile and I din't even know it! Well, at that point in time, I was just becoming aware of this world. It was a time when cars were like a dream to us, when the Beatles came up with so much force that being English wasn't even a big deal, when Russia and the USA had their situation that was of interest to all of us with the missiles setting bases in Cuba, when an American president was assassinated (John F. Kennedy), when, our elementary school teachers got us out of our classrooms to watch, on a small black and white tv screen, the first man on the moon, and listen to the famous "that's one small step for man, one giant leap for man kind", when the Beach Boys were all that and a bag of chips, and rock and roll music (in Spanish) was the in thing in my country, when somebody (John Lennon, The Beatles) said "We are more famous than Jesus" and a man (Martin Luther King, Jr.) said "I have a dream that my four little children will one day live in a nation where they will not be judged by the color of their skin but by the content of they character " when "El Che Guevara" was the face of the revolution, evolution, protests, and became an icon for the younger generations after his death, when in my country the Olympic Games were taking place and the genocide in Tlatelolco (Mexican Autonomous University, UNAM, where hundreds of university students died) was considered as a small incident (according to the Mexican government) to what the whole country has never never forgot, and has always condemned , when the feminist movement was born and women were finally consider as part of a home team, no just a simple female, and the sons of the flower (the hippies) created their own culture. And that was only the sixties!! With no computer, and no internet. From there on technology came up like smoke!! We replaced our old record player (the one with those black discs "long plays" an small ones too) for CD players, and we replaced our "super 8" film players for the video players, with Beta first and VHS following, continuing with laser disc players, and then DVD players, to the blue ray, and we replaced our old small black and white tv for a way bigger monitor, and then for a color tv, then for a tv with a video player attached to it, and later on, a tv with a DVD player attached too, and then the flat screens came, then very thin screens, and now TVs with 3D, and that's only a little in technology. Now, lets get to how I lived without computers or internet. Well, let me tell you that in my childhood I had to go to school to learn without the luxury of having "breakfast time" never the less "movie time." My school was about 40 minutes (walking) from were I used to live and there was no such thing as school buses. Whenever I had to do a homework assignment, I had to go to the school library, or the public library, in which, any of the cases I had to spend a great deal of time reading, and writing. I was going to school Monday through Saturday, being Mon-Fri from 8:00am to 6:30pm, and Saturday 8:00am to 11:30am and in addition to that I had to work during whatever time was left on the weekends, and I still had do my chores at home, where, being raised by a single parent (my Father), was a normal thing. I remember thinking, or dreaming about having a family at a very young age. It was one of my priorities, and even though I left home at a very young age, I can tell you that by the age of 20 years old I was already married, and had build my very own house, with my very own earned money, and still, not computers, and not internet at all. and I wasn't even missing it. Too many years have passed since then, and like I said before, I want to thank God for allowing me to live the life that I'm still living. For giving me a great Father who invested everything he had on raising me, he raised me without barriers, making of me, who I am today, with his death I thought that my world was done, because he was Superman to me, the one that would supposedly never die. For giving me a wonderful woman as a wife who gave me a wonderful daughter and a wonderful son, whom I have nothing but love, and admiration for and that I'm the proudest father in the whole wide world. And for giving me those two friends (Memo and Luis) that have always followed me, believed in me, and supported me from my younger age, to my later years. For all of that, let me tell you (mostly to the younger generations) that was the way how did I (and a lot of us) live without computers, nor internet, without having the stress of knowing "everything" from everywhere in this planet to what not matter what I do, it doesn't do me any good to know something that I can do nothing about it, and having said that, let's get to work on the next story, I hope that all of you are having as much fun reading this as I'm having at the time that I'm writing it, I'll comeback with some more new stuff for all of you to read, meanwhile, don't forget to eat your vegetables, your vitamins, and whatever else that you always eat (that most of the time is not good stuff) and I'll be back, over n' out.